Although the summer warmth is no more and the crowds of sun worshipers have disappeared, the Light still goes on. 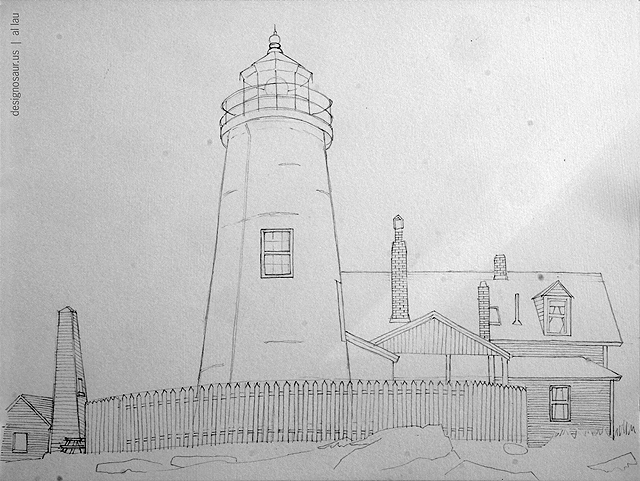 My pencil drawing of Pemaquid Light from a recent trip to Maine. It was quite a trek to get to, but very much worth it.